This is a nice meal for fall when the apples are plentiful. 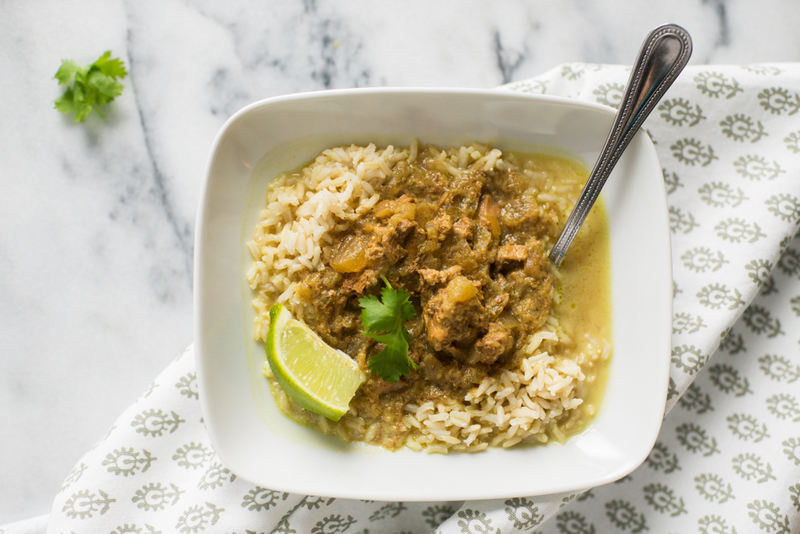 It uses pork, apples and a very mild curry flavor. It is a great “intro to curry” for those new to that flavor. The apples give it a familiar sweetness. When trying a new flavor or ingredient with kids it’s a good idea to prepare it with something familiar. The slow cooker really tenderizes the meat and the coconut mellows out the flavor. In a crockpot, combine all ingredients except coconut milk. Cover and cook on low for 5-6 hours or until meat is tender. Increase heat to high and add coconut milk. Simmer another 15 minutes. Serve over warm brown rice.